SMSC.ua is convenient stable service for SMS-dispatches all over the world with reasonable prices, flexible tariffs, receiving and processing incoming SMS-messages. 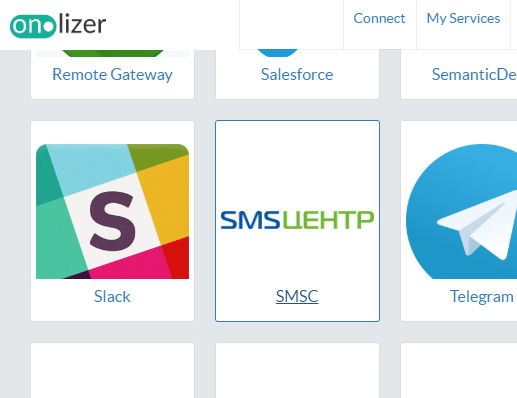 This "How-to" article describing how to connect SMSC.ua account with Onlizer to send SMS and use other service features. Now we need to add your SMSC account to Onlizer. For this go to the "Connection Hub" section in the Navigation menu (left side of the screen). 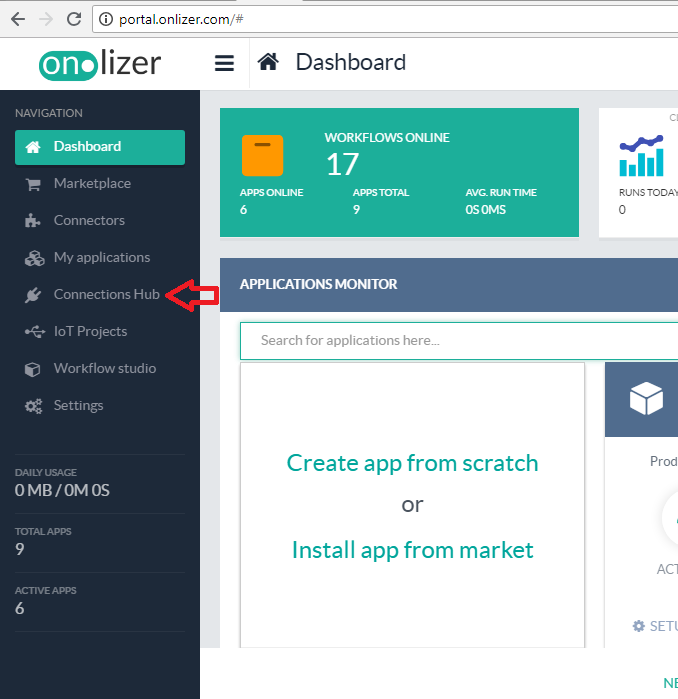 Now you will be redirected to Onlizer Connect portal and a list of services will appear. You can connect any of them to your project and use them in your business logic. The list contains a batch of services and we constantly update it. Find tile with SMSC icon and title and click it. 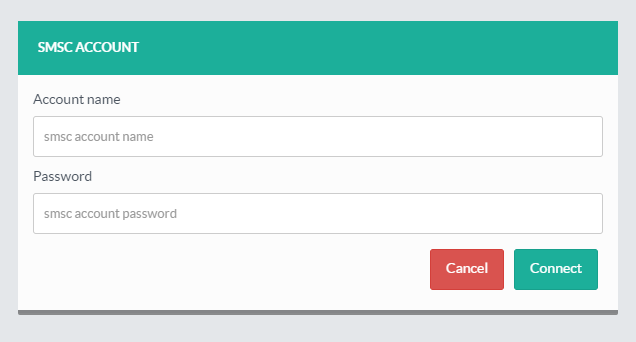 At the next screen, you can select a type of account you want to connect. If you already have SMSC account select "Connect self-owned SMSC account" option. At the next step enter your SMSC account name and password, then press the "Connect" button. After successful connection, you will be redirected to Connections Hub page and newly created SMSC connection will be shown there.